If you spent any time on social media recently, you likely saw a certain celebrity lookalike app all over your feeds. The POPSUGAR Twinning app enables people to take a selfie, and the tool finds which celebrity they most resemble. While the tool got a lot of positive and sustained buzz from word of mouth, it really hit viral proportions when Ellen DeGeneres used it during the opening segment of her talk show and then shared to her own social platforms. 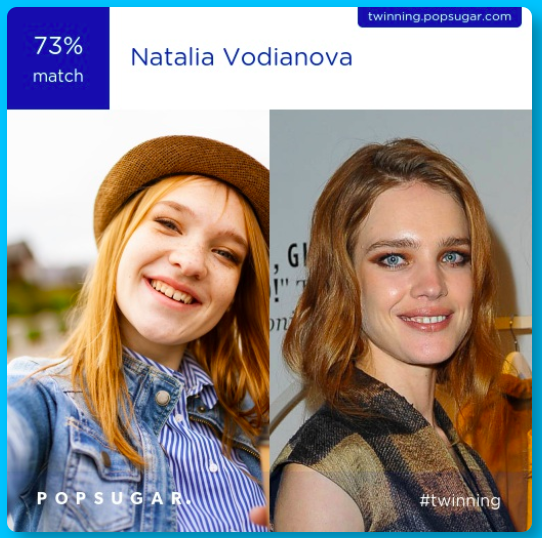 To build Twinning, the POPSUGAR team turned to Clarifai’s celebrity model. Pre-built models are a vital resource for companies and developers who want to launch an app quickly and effectively without massive overhead. Of course, when you build an app, you probably dream of it going viral and being so widely loved and used. Realistically though, virality isn’t predictable or dependable. While having the ability to scale is vital when planning and building, spending on infrastructure for such an unknown can be a hard sell. Still, it’s always good to have someone who can ramp up with little notice and fix it right away because users will become frustrated and will post about it not working. That’s why many developers turn to third-party providers who can scale for them as needed. Looking to get started with building a computer vision app? Sign up for your free Clarifai account below!